These Boothead antenna are here to improve your video ! a PAIR - Rx and Tx - combination set - For FPV aerial photography 5.8Ghz - these skew planar 4 bladed 5.8Ghz cloverleaf style video Rx antennas give clear video vision (with or without OSD) and good colour with no colour shift inside normal Aerial photography radius of 1050m. Includes the matching 3 bladed Cloverleaf Tx antenna in this set. in direct Line-of-sight (LOS) these can be used out to 1.5km if operating at 400 ft alt. 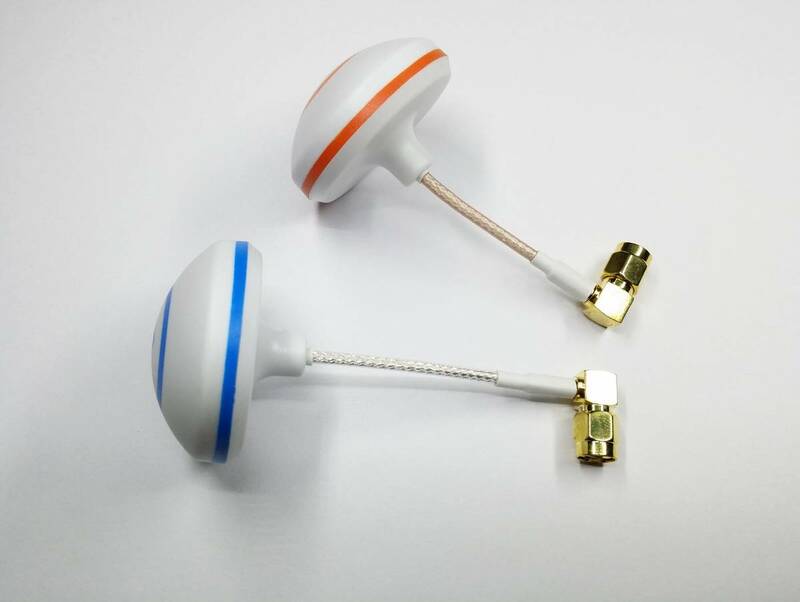 Antenna feature gold plated female connectors and bend-n-stay co-axial cables. Due to the short wavelength of 5.8Ghz it requires direct LOS - so you cant fly in rain, nor behind buildings . This ties in with legal requirements to maintain the aircraft in LOS. This SET - Includes both Tx or Rx - warranty does not cover any type of crash or break from impact etc - We strongly recommend you put a few drops of extra-thin CA superglue on them seam of the grey lid (where the colour band is) before you fly.